For the first time since Assen in 2015, Valentino Rossi will start from pole position as the Michelin tyres have given him new life. Valentino Rossi was in no rush to get out on track during Q2, waiting for clear track as he was confident he could set a fast lap without following another rider. 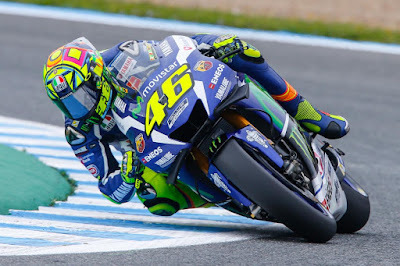 With clear tarmac ahead of him, Rossi began to immediately push for a fast time and set a best time of 1’39.463 at the end of his first run, placing him third as he went back into the pits. New tyres fitted, Rossi returned to the track for his second assault. His teammate was leading the way but Rossi dug deep on his final lap to set a 1’38.736 and take pole position on his final lap. This is Rossi’s 52nd pole in the premier class and 62nd career pole. 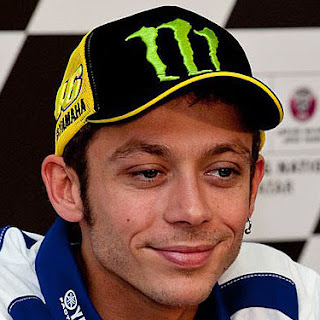 Surprisingly, this saw Rossi draw level with his teammate as the pair have each taken 62 poles throughout their careers in the World Championship. At a tight track like Jerez, starting from pole can offer a rider the chance to avoid any unlucky accidents through the opening corners. For the third straight race in 2016, Valentino Rossi will line up in pole position as he continues his Qualifying renaissance. Rossi’s last sequence of more than two consecutive front row starts came back in 2009, the new Michelin tyres are at the heart of Rossi’s improved performance. On the French rubber the Movistar Yamaha MotoGP rider is able to push from the beginning of the 15-minute session, something he was not as confident in doing before. It won’t be an easy race as both Jorge Lorenzo (Movistar Yamaha MotoGP) and Marc Marquez (Repsol Honda Team) line up alongside him on the front row of the grid and have shown great pace over the course of the weekend. With over a decade of experience racing in Jerez, you can expect Rossi to produce a special move or two if it comes down to the last lap. We worked a lot because last year we struggled during qualifying. This year, with the Michelin tyres, I feel better and I already started on the front row two times, but pole position is something different, especially here in Jerez.